How is this for fabulous news??!! In addition to the release of These Days, Paul will embark on an extensive 30-date UK tour for 2019, which begins on 18th January in Liverpool’s Philharmonic Hall, and ends on 24th March at The Lowry in Salford. ‘These Days’ is Paul's 17th album, a run that began way back in 1980, but which has been building real, independent momentum since he formed his record label in 2000 with the landmark 'Satisfy My Soul' album release. Paul’s breakthrough moment came when he wrote and sang 'How Long', the much-covered 1974 classic from his days with Ace, and was the voice of 'Tempted' from his tenure with Squeeze. Then came such hits with Mike + the Mechanics as 'The Living Years' and 'Over My Shoulder', the latter a co-write with Mike Rutherford. Not to mention that another co-write, 'Love Will Keep Us Alive', was covered by the Eagles and won a hugely prestigious ASCAP Award as Song of the Year. 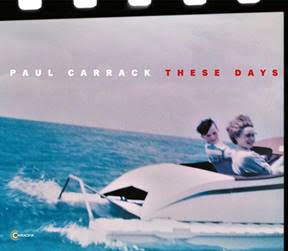 Diana Ross, covered Carrack's co-write with Nick Lowe, 'Battlefield', and as an in-demand collaborator, Paul's decades of distinction include sessions with the Smiths, Roxy Music, B.B. King and countless others, culminating in a request from Eric Clapton to join his touring band. That rare honour comes up-to-date in the summer of 2018 with their homecoming performance in London's Hyde Park. Since the turn of the century, instead of making other artists look great, Paul has quietly built a huge, loyal fan base, an audience that not only devours his albums, but turns out to see his frequent, extensive tours in their thousands. He's done that the only way he knows; making high-quality, accessible pop-soul with unmissable hooks and lyrics that say something about all of our lives. That's truer than ever on 'These Days'. The album's stunning line-up features Paul on keyboards and guitar and regular bandmate Jeremy Meek on bass, joined by Robbie McIntosh (Paul McCartney, Pretenders, Norah Jones, John Mayer) on lead guitar and drummer Steve Gadd, Paul's Eric Clapton bandmate who has graced the work of everyone from Steely Dan to James Taylor. As if their exemplary playing wasn't enough, the album's horn section is hand-picked and overseen by the mighty Pee Wee Ellis, the American saxophone ace who was an integral part of James Brown's shows and records of the vintage 'Cold Sweat' era. Five tracks on 'These Days' have lyrics by Paul's friend, former Squeeze bandmate and consummate wordsmith Chris Difford. As usual, the new songs started in Carrack's home studio, but they came to life in a different and exciting way this time. “I don't write a song and then do a demo,” he explains. “It's a little nugget of an idea and I start messing about with it, chipping away and it becomes something. Usually, that's completed and that becomes the album. When Gadd said he'd be coming through the UK on the way home from a European tour with Chick Corea, Paul seized the moment and booked into Air Studios in London for three days to cut a dozen tracks as a band, before taking it back to his home studio. Plenty of the songs, from the title track to 'Where Does The Time Go', 'The Best I Could' and 'Dig Deep' strike a glass-half-full, pensive mood about the long road travelled and the adventures still to come. “When I think about it, we've come a long, long way,” as Paul sings on the typically catchy and beguiling 'Amazing'. 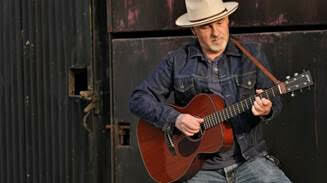 Tickets for all dates are available to buy at www.paulcarrack.net/tour/ . 8. Where Does The Time Go?